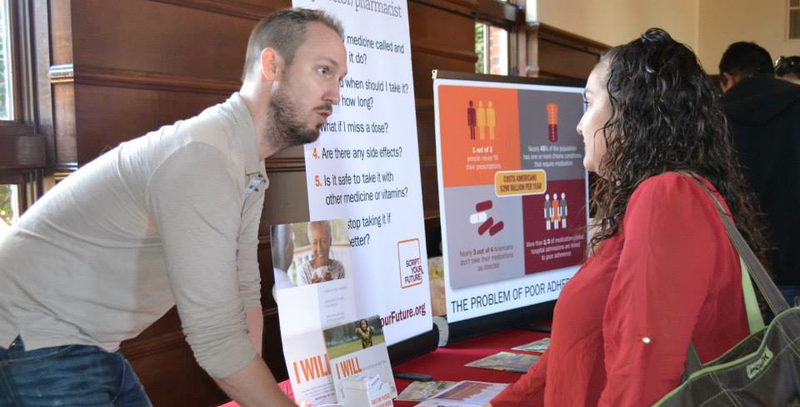 The California coalition launched in 2011 with more than 60 statewide, regional, and community-based organizations, elected officials, patient advocacy groups, public agencies, and pharmaceutical industry partners. The coalition has prioritized health policy involvement with stakeholder leaders and lawmakers, and tailored outreach to the diversity of the state, developing and disseminating the Script Your Future Wallet cards in Spanish, Russian and Asian languages – Chinese, Vietnamese and Hmong. An innovative research project with California Northstate University examined the impact of Script Your Future programming, materials, messages and methods with older adults. 1. Patient Education and Awareness -- With a particular focus on seniors and at-risk populations with chronic illnesses; especially conditions including Diabetes, Cardiovascular Disease, Eye Conditions, and Respiratory Illnesses. 2. Health Care Professional Engagement -- Including interdisciplinary education and coordination of care. 3. Health Policy Involvement with Stakeholder Leaders -- With an emphasis on policies to improve access to care and treatment, and medication management services for better health outcomes and reduced costs, especially among diverse populations. With a population of nearly 39 million people, California makes up about 12 percent of the United States’ population. Statewide the demographics depict a diverse population with 39 percent non-Hispanic white, 6.6 percent African American, 38 percent Hispanic, and 14 percent Asian or Pacific Islander. This list indicates participation or partnership in SYF California/Sacramento activities. An informational legislative briefing exploring strategic policymaking approaches to improve health outcomes and maximize spending. Conducted in partnership with the California Chronic Care Coalition and the California Pharmacists Association; hosted by State Senators Richard Pan, MD, and Jeff Stone, PharmD. Congratulations Touro University California School of Pharmacy! The National Consumers League (NCL) and its partners announced the winners of the seventh annual Script Your Future Medication Adherence Team Challenge, a competition designed to engage health profession students and faculty across the nation by encouraging teams to develop creative ideas, events, and initiatives to raise public awareness about the importance of medication adherence. Touro University California College of Pharmacy has received recognition in all seven annual Challenges; and with this year’s Communication and Media Outreach Award going to Touro. Students produced an animated video educating patients, friends, and caregivers on how to broach the subject of medication adherence. The team also educated thousands of people through social media and published an Op-Ed providing tips for caregivers and patients with chronic disease to use when speaking to a healthcare provider. 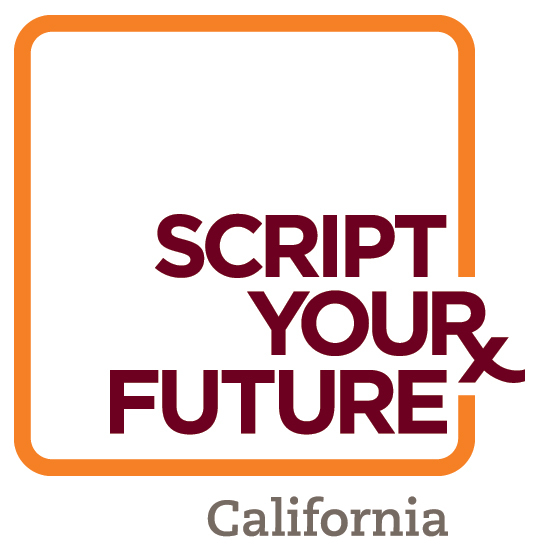 The seventh annual Script Your Future contest saw participation by 73 health profession schools hosting 350+ events in 17 states, and reaching 1.5 million consumers nationwide.